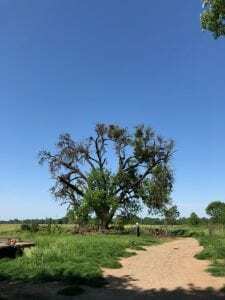 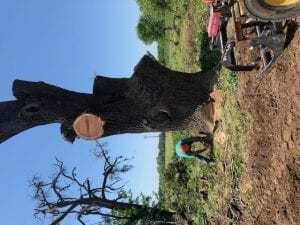 We recently had the great opportunity of salvaging a huge dead Black Walnut tree from a piece of farm land in the greater Sacramento, Ca area. 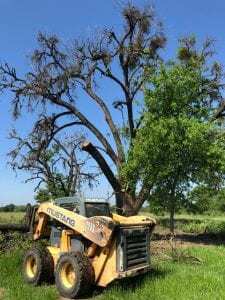 The land owner wanted to get the tree removed before he filled the area with hay because he was worried about dead branches falling and potentially hurting someone. 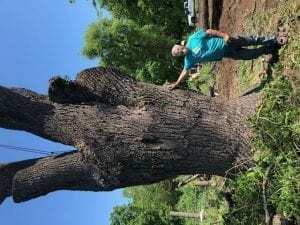 The tree was estimated to be planted in the early 1900’s. 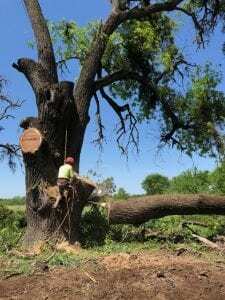 We saved the huge trunk and 23 upper branches that will be made into dimensional lumber. 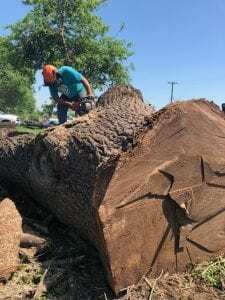 In total this tree produced over 6,600 board feet of beautiful urban wood slabs and urban lumber that will eventually be turned into gorgeous pieces of custom wood furniture.The slabs will soon be available here.